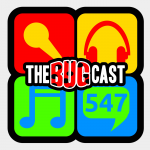 This week on The Bugcast: a YouTuber intends to “go gay” for a month, the decline of the “podcast”, and 8 tracks of Creative Commons music! BBC Sounds: The BBC is moving some of its podcasts exclusively into BBC Sounds. Submit your tracks for the Listeners Choice episode 550 on Friday 1 February 2019! You can submit any track played between episode 505 and episode 549. The next live show will be episode 548 which will be streamed live in the chatroom on Friday 18 January 2019 at 21:30-ish UK time (GMT/UTC). I was watching the daily politics yesterday and one of the protagonists mentions “I said this on my podcast” and another one said “Ooh, I said it on my podcast too”. I think every man jack has a podcast now and the “definition” has indeed changed. Why tha BBC has decided to do this with “Fortunately” has got be a way of pushing their own app and creating some form of exclusivity. Not exactly BBC charter mentality. I’ve added my wrath to the twitter threads as well, so let’s saee if it makes a difference.